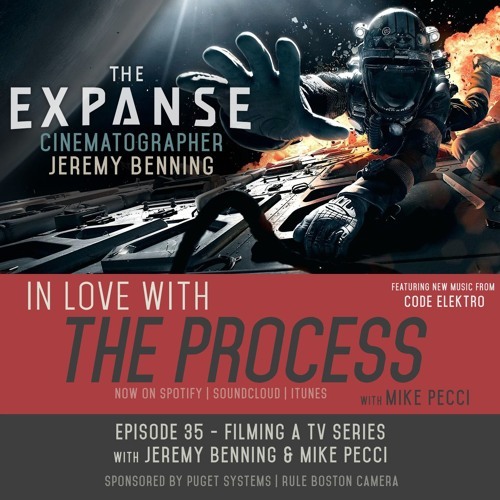 On February 20th, 2019, I remotely recorded a podcast interview for Mike Pecci, who has been doing these podcasts for a while now. On February 7th, 2019, we completed principle photography of season 4 of The Expanse. This season certainly was our biggest, baddest and most challenging one yet… in terms of scope of the story, ambitiousness and time frame. With Amazon stepping in to save the show last year, our ramp up time to start prep on season 4 was shorter than normal. I think this will be a great season, I start colour grading in March… it sounds like a fall or late 2019 launch on Amazon Prime world wide. Here’s a fun video we made in conjunction with the Canadian Society of Cinematographers which shows how we handle practical LED lighting in our sets on the show. I was asked back in the spring to come aboard a new Amazon Prime Video series. Over the course of last summer, I shot two of the series’ eight episodes. Jeff Cutter shot the pilot, I co-DP’d with Evans Brown who shot the remainder. We shot with the Red Helium in 8K, using Cooke SF Anamorphics primarily. I worked with director/producer Phil Sgriccia and Stefan Schwartz. The show will be streamed in HDR 4K 2.39:1 on Amazon Prime when launched. It was a fun show with dark writing and humour.. which lead to a gritty, real, non-glam view of super heroes as normal, corrupt people. Amazon’s small screen streaming lineup is set to add a live-action adaptation of Garth Ennis’s notoriously dark and violent comic book, The Boys. The television project, which has been in development on and off for several years, has finally received its long-awaited greenlight, auspiciously arriving as the creation of Supernatural and Timeless visionary Eric Kripke. 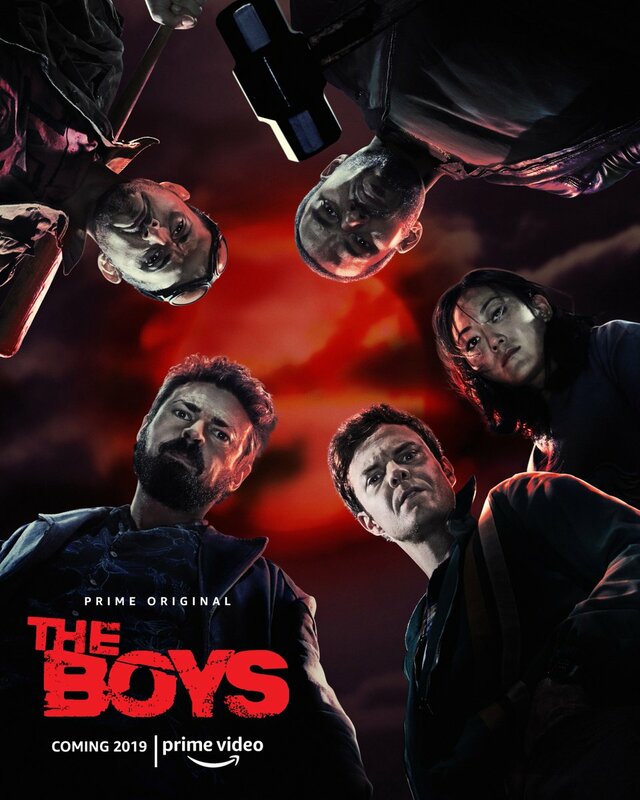 The Boys has an eight-episode order from Amazon, with Kripke serving as showrunner/executive producer, adapting the 2006-2012 comic book series created by Garth Ennis and Darick Robertson. The series will launch with directors who are experienced in adapting Ennis material in Seth Rogen and Evan Goldberg, who are credited as co-creators. Colin Minihan directed this funky, fever-dream inspired spot for Baron Samedi spiced rum. We shot in an old mansion in Toronto, which already had a great old look to start with. Colin really wanted the colour palette to be rich and saturated, we used a combination of Astera Pixel Tubes, Light drops, Arri SkyPanel S60 and S360 fixtures, as well as LiteGear Litemats. We shot some sequences under-cranked to get that freaky jerky look. We had a snake and wrangler for the product shot – miraculously the snake did the perfect move around the bottle in one of the first few takes, which is what made the cut. 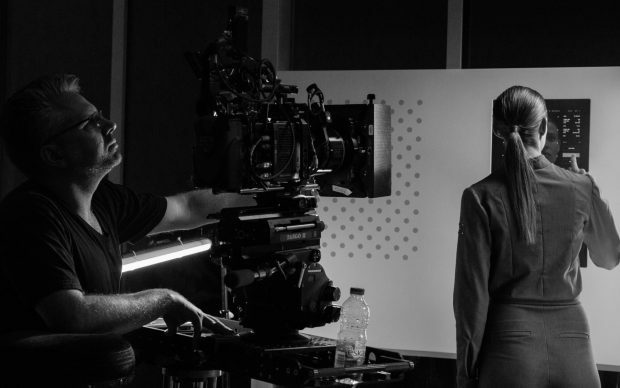 The spot was shot with the Arri Mini and Cooke S5 lenses. Casting by the ever talented Steven Mann and the amazing team at Mann Casting! Davin Black directed this cool spot for a new French lingerie company. What’s interesting here is that its designed to also be watched in 1/4 speed on YouTube – I never realized you can choose different playback speeds on YouTube. The edit is designed to allow for seeing different details when viewed at the slower speed – even the sound design works that way! We shot Arri Mini 4:3 with Kowa Anamorphic lenses. 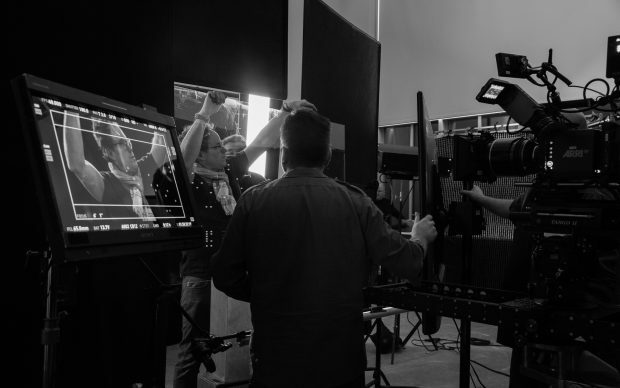 In January I had the opportunity to shoot my first robotics commercial for the team at Tendril Design in Toronto. AutoStore, a Norwegian company, is a leader in robotics designed for the future of warehousing for online retailers. Chris Bahry, Nicolas Gerard and Rafael Ruiz directed the live action. All the live action elements with our hero girl were shot in studio with a small set. We did pre-shoot testing to determine the look of the motion graphics that would appear on monitors in the set. In some cases, the graphics needed to be interactive with our hero talent. Pieces of glass were used in front of the camera which allowed us to shoot through reflections off large monitors of some of the playback graphics. The Tendril CGI team did an amazing job of integrating the look we achieved in camera in term of colour and lighting shape with the robotic world they created. An example of in-camera reflections in glass off a monitor. Key grip Sean Bourdeau rigs a sheet of glass in place for us to shoot reflections. It was an honour to be asked by Arri to participate in the series of short interview films they made to celebrate their 100th anniversary. 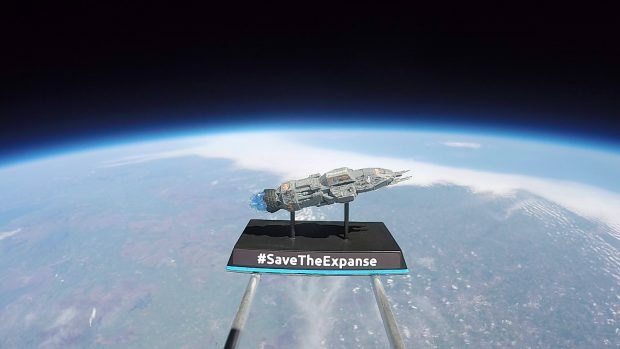 This was shot during the filming of season 2 of The Expanse. I was speaking about our use of the Alexa Mini and how it changed the way we were able to shoot the show. Its been a long time since I cut together a montage of my work. Seeing as last year was particularly interesting with The Long Road Home and The Expanse Season 3 back to back, I felt it was time to try and showcase this diverse work in one place. A true war story based on a book set in 2004, then a series set 300 years in the future! It struck me as I realized that all three works shown here are based on books! I really enjoy telling stories based on books, as well as true stories. Its great having that depth of source material to draw from when making a film. So I cut short teaser trailers for both shows and combined them into one file. I’ve never made a proper Expanse teaser for myself, just been using the trailers the network makes – which are great – but they focus more on words and graphics and less on visuals. I made a point of making the teasers for Long Road Home and The Expanse be without the spoken word. I have always wanted to cut my own version to highlight our visual flare – just never had time. Unfortunately I can’t use season 3 yet as its still in post and not released… however I did combine Season 1 & 2 into one trailer. Then there’s Killing Lincoln, which I shot in 2013. I am very proud of that work – its very different from these other projects as it is a period piece set in 1865, and it was recognized with an ASC award that year as well. A few weeks ago I did a remote interview with a couple of guys from Freefly Systems to talk about our use of the Movi M15 on The Expanse. We also got into general film business discussions and how I got into the industry, as well as my background as a steadicam operator. Every Axis is an original podcast from Freefly Systems and is produced at their HQ in Woodinville by Tabb Firchau and Evan MacDonald.